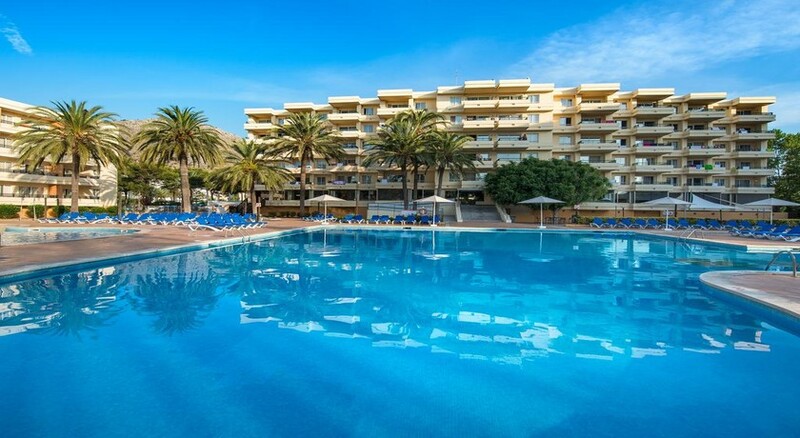 Set just a short distance away from the beach in Alcudia, the Bellevue Club has a fantastic range of on-site amenities including eight swimming pools, a multitude of restaurants and bars as well as facilities for mini-golf and other sports. This family friendly resort also has a varied entertainment programme for all ages with live shows and you can hire a car or a bicycle and explore the local area at your leisure. 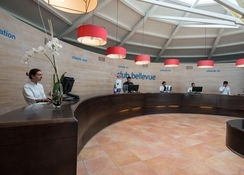 The Bellevue Club is nearby to many tourist spots including several beaches, the Old Town in Alcudia and Rancho Grande Park. This property is suited to all travelling parties including couples, groups of friends, solo travellers and families with children. The Bellevue Club is 0.8 miles to the nearest beach so you are only a short walk away from the golden sands in Alcudia. The property is also nearby to the Old Town (1.6 miles), Rancho Grande Park (8.7 miles) and Natural Park S'Albufera de Mallorca (2 miles). The Palma de Mallorca Airport is 28 miles away from the hotel. 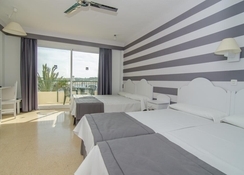 There are several apartment types on offer which will suit all travelling parties. 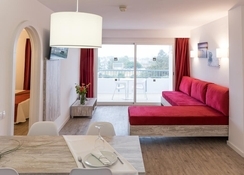 This includes Studio Apartments which can sleep up to three guests, One-Bedroom Apartments that are suited to up to four people while the Two-Bedroom Apartments have capacity for six people. They all come with a fully-equipped kitchenette, balcony, satellite TV (extra charge) and fridge. There are many eating and drinking venues at the Bellevue Club that will appeal to all tastes. There are two buffet restaurants that have a range of international as well as local food. 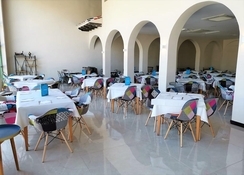 You will also find a Mediterranean a la carte restaurant and the Dolce Vita pizzeria which offers great Italian food. There is as a café on-site as well as eight pools bars at each of the swimming pools, an Irish Pub, The Crown English Bar and a Moroccan Bowling Bar. If this isn’t enough to satisfy your taste buds then there are also many eating and drinking establishments in the local area that are within walking distance of the property. The hotel has a whopping eight swimming pools which all have their own bar serving a range of drinks and snacks. An entertainment programme for both adults and kids is on offer which also includes live shows in the garden. Children can make use of the Kid’s Club and there are facilities for mini-golf, go-karting, squash and tennis. If you want to venture outside the Bellevue Club complex, then the Old Town has a good nightlife scene or you can hire a bicycle or car and explore the local area. I went there twice this year , both May and in September. I have no complaints. I loved my stay at Alcudia.. our hotel was standard..you get what you pay for.. it was my first time abroad, I would go again. Everything was in walking distance that was needed .. was nice atmosphere! Great location,so much to do and everything so near and handy , would definitely be returning very soon. Good Hotel would stay again. We really enjoyed our stay at Belle vue club, food was fantastic, drinks are ok if you don’t want to get drunk but that is probably the same with all all inclusive alcoholic drinks, Rooms we had was really nice, Ideal location as Everything was within walking distance including the beach if you fancy a change from the hotel, great for the kids would definitely go back. I really enjoyed my stay at Bellevue. The facilities were lovely and very modern. As well as that, the staff couldn’t have been more pleasant and helpful. I would highly recommend Bellevue to anyone. Stayed in Bellvue in Oct 18 and although the weather was a little bit and miss had a fantastic time. The thing to remember is you get what you pay for. Staff were very helpful and the resort is an all round great place. Will definitely be back again.